It’s another when grown adults do it. 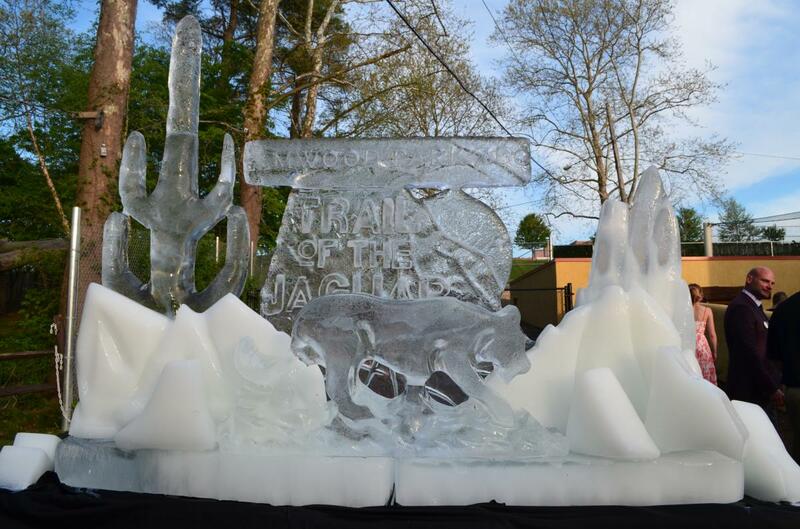 But the new Trail of the Jaguar exhibit at Elmwood Park Zoo, which opens to the public May 5, garnered exactly that reaction at a preview party on April 28. 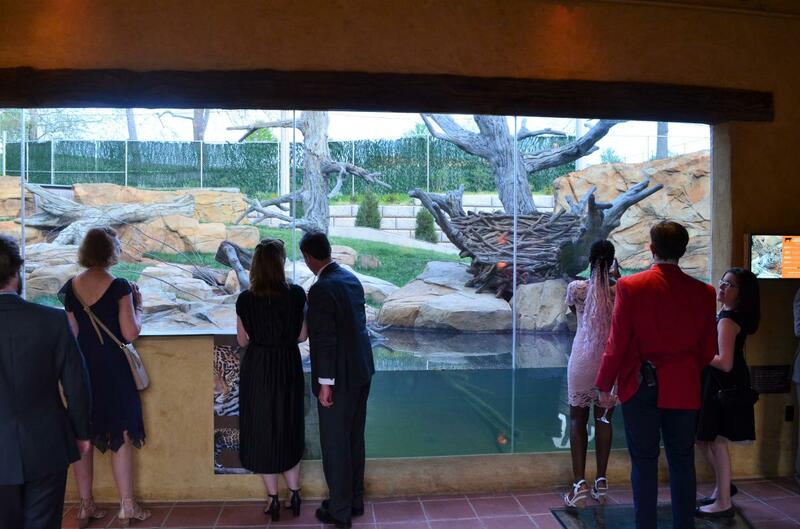 The well-dressed crowd oohed and ahhed over Zean, the handsome male, as he prowled around the outdoor enclosure. But when he made way for new momma Inka and her three-month-old kittens, Diego and Luna, it was time to cue the sighs. 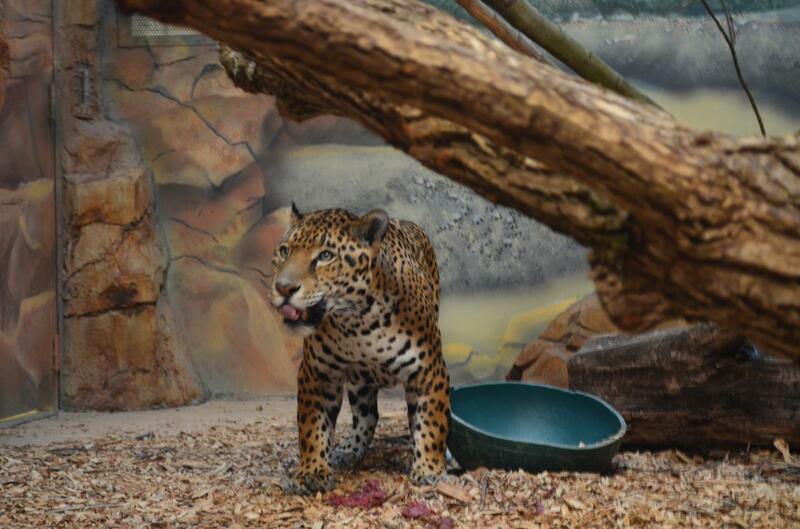 The big cats’ new home in Norristown is impressive: The 5,000 square-foot environment gives the jaguars plenty of room to safely roam. And with an overall design by the architects of Disney’s Animal Kingdom, the sightlines are uniformly excellent. Inka, Zean, Diego and Luna also have company. 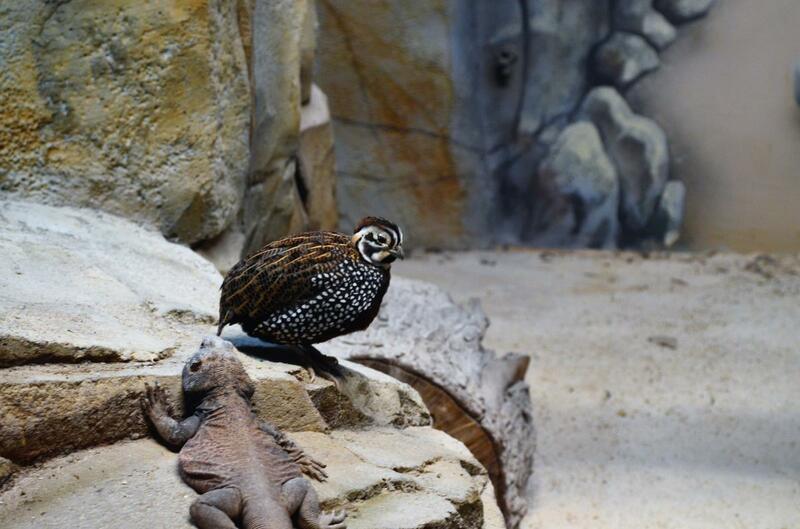 The Trail of the Jaguar also houses Montezuma Quail, a variety of lizards, a South American Coati and an ocelot. 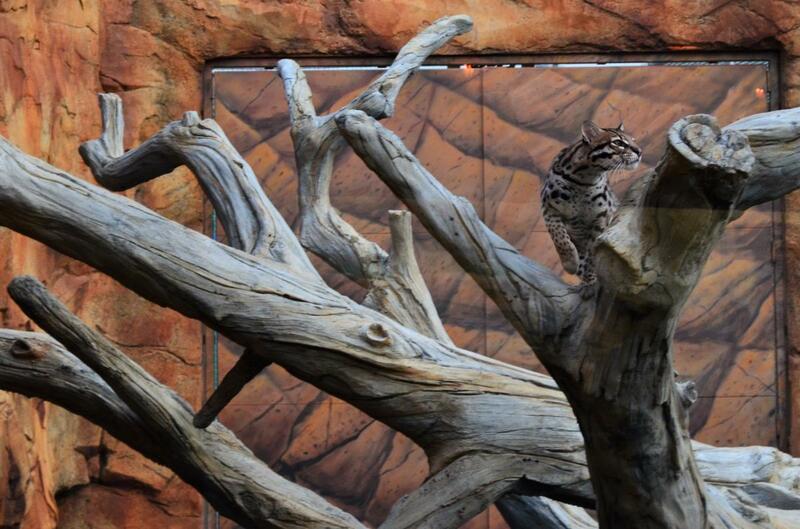 The stars of the show, however, were the baby jaguars. As the crowds pressed in to see their antics, the cubs were initially reticent, much like toddlers that had just woken from a late-afternoon nap. It didn’t take long for them to overcome being camera-shy. To the sound of staccato camera shutters and the glare of cell-phone camera lights, they eventually started to romp and tussle. Diego, the male, seemed a little braver than his sibling. He put his large paw into the small waterfall and looked at his paw with a little bewilderment. Luna happily shadowed mama. Shaun Rogers, Marketing Director, aided guests on telling them apart. “Diego is a little chubbier than Luna,” he helpfully pointed out. Zean had the exhibit’s dayroom to himself. He glided down a series of steps with a rockwork design, his hazel eyes sweeping the area. A series of food enrichments had been left for him, including a portion left under a bowl. With one swipe of his massive paw, he overturned it and dug right in. 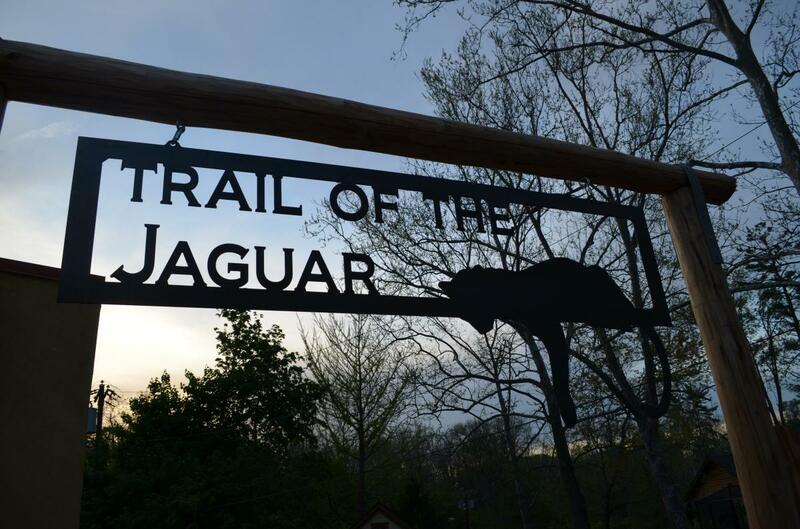 Trail of the Jaguar will be open daily, 10 a.m. to 5 p.m. (along with the rest of the zoo). The experience augments the unique programming already in place at Elmwood Park Zoo, including the chance to hand-feed a giraffe and soar over animal enclosures on a speedy zipline. As a reminder, the zoo is a smoke-free, vape-free environment.